These members of Saxifragaceae family are mainly from the woodland areas of North America. The genus contains about 5 species and many modern cultivars which show off the amazing colour and variation of their foliage, very similar to their relatives the Heuchera. For an extended period from early Spring into Summer they produce numerous flower spikes which are eye-catching from a distance as well as up close-up. 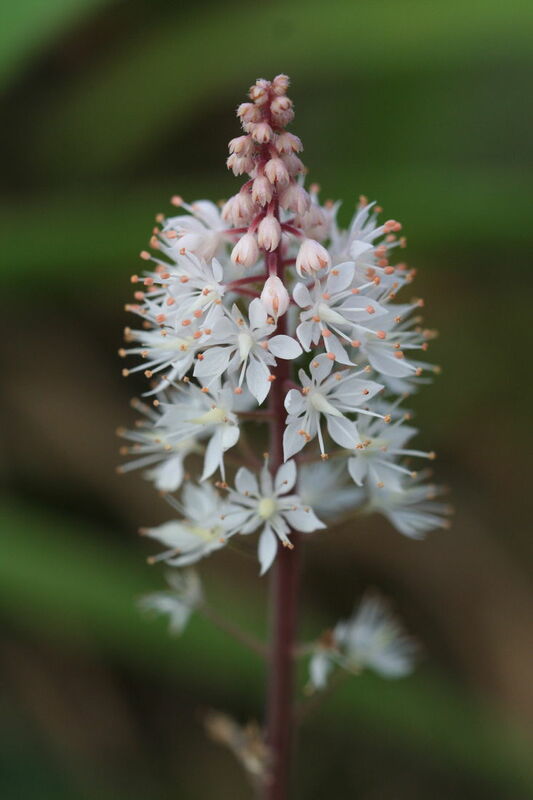 The bare stems rising over their attractive foliage are about 30cm in height and carry ethereal-like small white star-shaped blooms, with some pink in the new cultivars. Fertilise only sparingly as they do not tolerate rich fertiliser, so suggest planting in a semi-shaded spot protected from afternoon sunshine, and top-dress with a small amount of Slow Release Fertiliser. They prefer to have constant moisture but not over watered.